Degree from a recognized University with Bachelor of Education or Bachelor of Teaching or equivalent. Male candidates belonging to General (UR)/OBC category applying for recruitment to the above post should pay Rs. 100/- (Rupees One hundred only) as application fee through online payment gateway system on the ITBP Recruitment website. 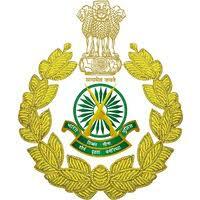 Eligible and interested candidates should only apply online through ITBP Recruitment website www.recruitment.itbpolice.nic.in. Candidates are advised to fill the online application form after reading the instructions carefully.